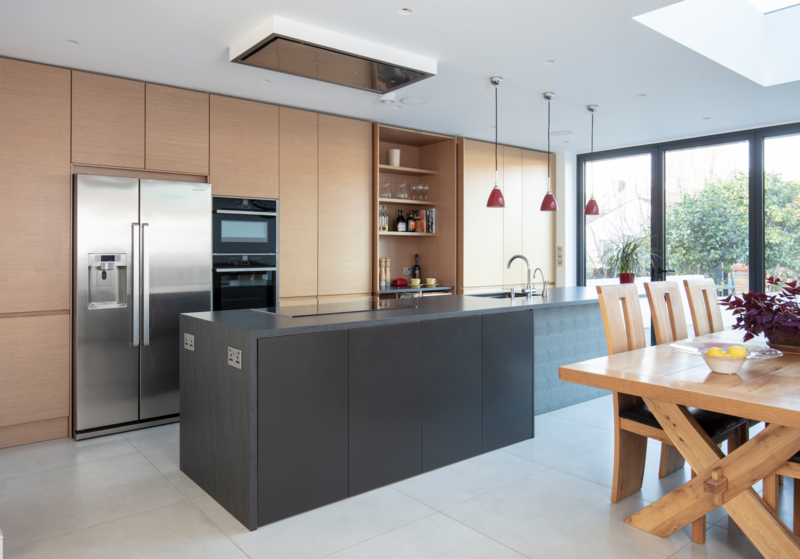 A new home extension was created to accommodate a modern and functional kitchen for a family of four where cooking is a big part of family life. This allowed the family to cook together and gave them the facility to entertain and spend time with their friends. 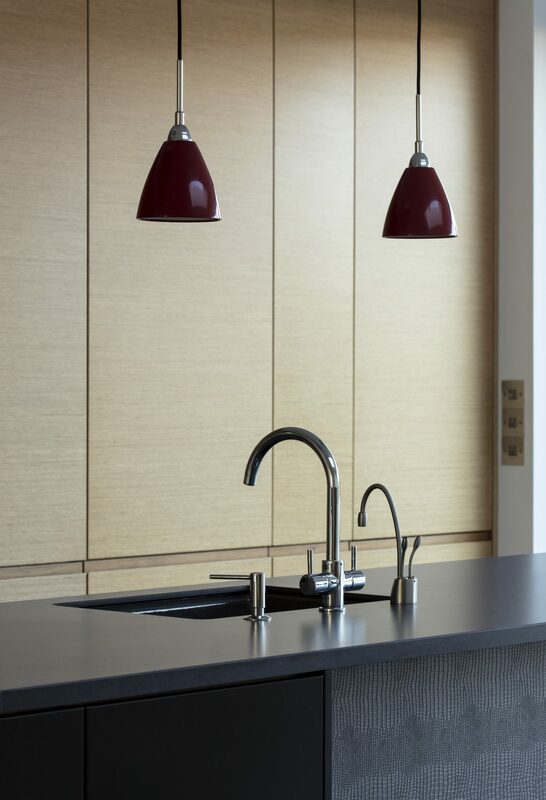 The long island accommodates both sink and hob to allow the person who is cooking directly face the dining area. Introducing ceiling mounted hood allow them to keep the space open. 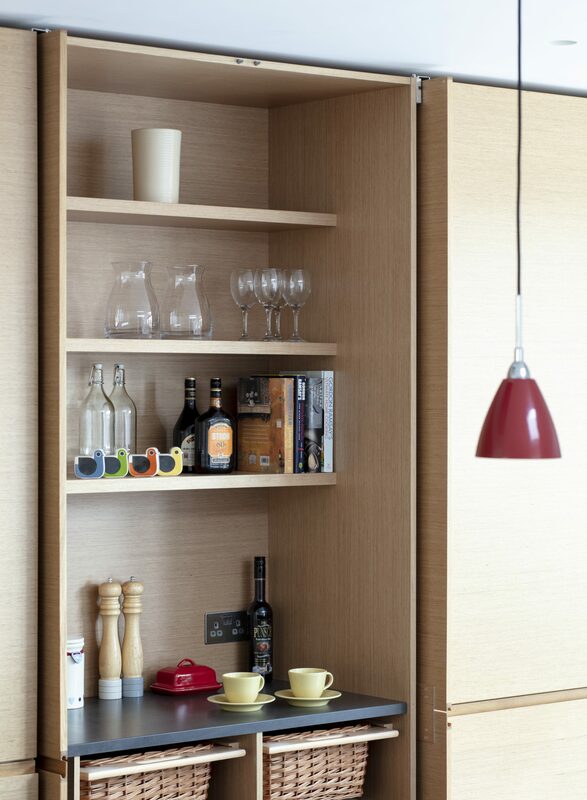 Hide away door and breakfast/coffee area reduce clutter and tall floor to ceiling units provide enough storage. 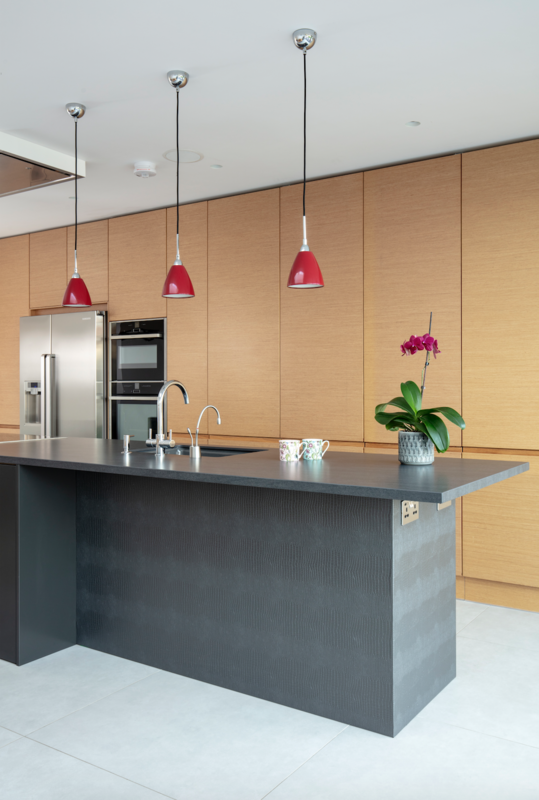 Dark lacquer units on the other side of the island offered a good storage for dinning crockery. 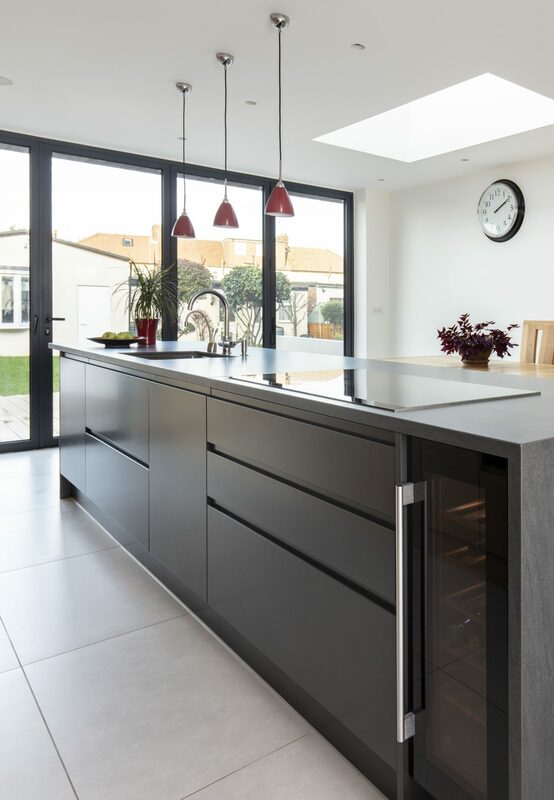 Neolith Basalt black worktop offers high durability and blends nicely with the dark island and skin looking panel. We proposed using crocodile skin looking wall cover for end panel under the breakfast bar. This not only added an interesting accent but also allowed us to enhance durability and protect the area from accidental damage.